an instance of apprehending the true nature of a thing, especially through intuitive understanding. verb (used with object), in·cit·ed, in·cit·ing, in-cite-ment. to stir, encourage, or urge on; stimulate or prompt to action. Most futurists increase your sense of panic and anxiety with dystopian images of the not-too-distant future characterised by Artificial Intelligence (AI) taking your job, algorithms hacking your most private moments and Austrian-accented cyborgs raising your children, “Get to the minivan!! !” The real issue is, trends only tell half the story. Data isn’t the answer, it’s input. 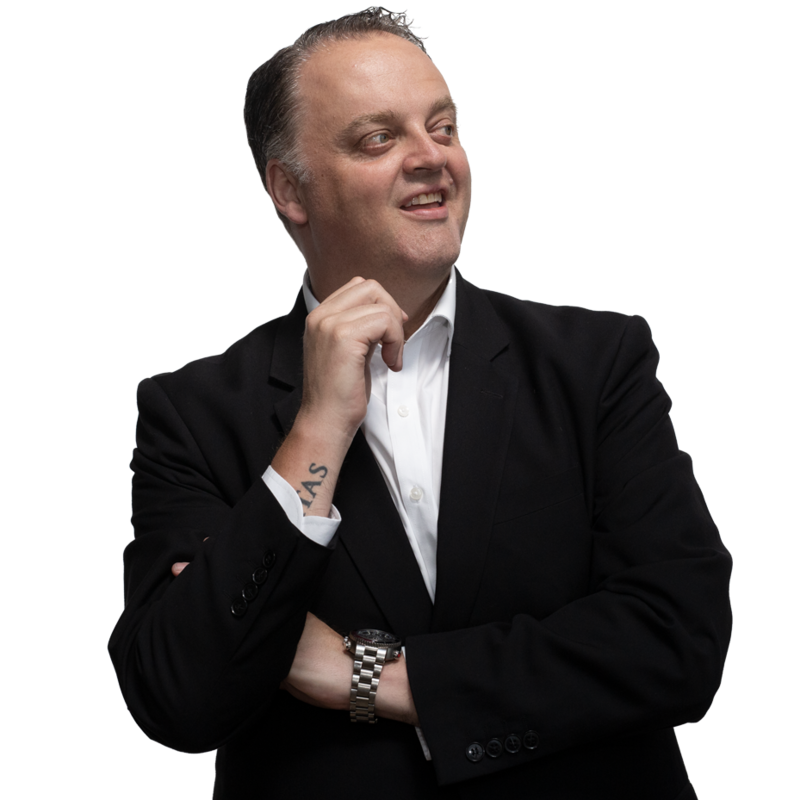 Dan Gregory is an author, speaker, futurist and social commentator. A thought leader in the field of strategic insights, Dan helps leaders and teams explore critical trends in search of opportunities, to identify the meaning behind the data and turn information into actionable strategies. In short, Dan helps you READ and LEAD change. Rated in “the top 25 C-Suite Speakers to watch” by Meetings & Conventions USA, Dan Gregory is a captivating speaker whose business acumen is matched by a rapier wit and rare human insight gained during three years on the road working on the US and UK stand-up comedy circuits – skills put to great use in front of millions of viewers as a regular on ABC TV’s “Gruen Planet” and Channel 7’s “Masters of Spin”. The guiding questions behind all of Dan’s work are, “What does it all mean?” and critcally, “How is it useful?” Questions that have helped him create leadership strategies for global technology firms, design performance strategies for sales teams and C-Suite executives and drive engagement strategies for organisations as diverse as Coca-Cola, Newscorp., the Royal Australian Navy and the UN in Asia. Trends & Insights - Explore the trends and insights presenting your industry with opportunities, challenges and threats in: Communications & Technology, Society & Culture, Institutions & Systems and the Marketplace & Consumer Behaviour. Leading Change - Do more than just lead your team… lead your entire industry! On stage “Hypotheticals” - Make expert panels more interesting as Dan plays Devil’s advocate with probing questions and insightful humour. Great Debates - Expand your thinking and test the limits of an issue with Dan as team captain and great debate coach. Insights into Performance - Develop self-awareness and gain insights into what drives behaviour, performance and engagement in yourself and your team as you learn how to “hack human nature”. Insights into Influence - Increase your influence and engagement with customers by learning how to map their motivations at a literal, emotional and psychological level and through understanding what sits behind all of their decision making. Insights into Branding - Amplify your personal brand and thought leadership as well as transforming your commercial brand into congruent behaviours by delivering friction fixes, no-where-else experiences and walking your talk. Insights into Change - Discover how to map trends, to read change and produce actionable insights and strategies in an age of unprecedented disruption as you lead the future of your organisation. Insights Into Strategy - Take your planning day to the next level and learn unique sense-making strategic tools that help leaders and teams make meaning, explore opportunities, identify blindspots and execute more effective strategies. Champions of Change Leadership Program - A six to twelve month program delivered with Kieran Flanagan, that helps your leadership team become industry thought leaders, fills your pipeline with quality candidates, gives your ELT and board a line of sight to your emerging leaders and helps your team do more than just lead your organisation as they develop skills and initiatives to lead your entire industry. Dan Gregory & Kieran Flanagan are the co-founders of The Impossible Institute™ - a strategic think-tank that was created to make positive change and make change positive. Sign up for insights into trends, change and leadership strategy. ©2019 Dan Gregory. All rights reserved.